At GLD security – experts in fire alarms Edinburgh, we fully understand the value of fire detection as outbreak of fire is one of the largest causes of death nearly anywhere you go. It is well known that you are actually in fact twice as likely to die in a house that catches fire that has no smoke alarm to make the occupants aware, than a house that does have a working fire alarm. Whether you are a domestic household with family or a commercial property with staff – If you do not have a fire alarm installed, it is something that we would advise to consider very seriously to keep your family or staff safe. An early warning could be there difference between life and death. In fact, most business insurance companies will make a requirement of the business to have a fire alarm installed on their premises. Furthermore, homeowners can also have smoke, heat and carbon monoxide detectors fully integrated into their intruder alarms. This in turn will offer an overall reduction in the cost, reduces maintenance time and just generally takes up less space. It also means that you will have one company as a point of contact to address all your domestic or commercial security and detection system needs. 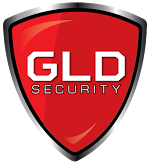 At GLD security we offer a comprehensive and fully insured installation and maintenance service. We will look after everything from the design phase, to full installation and recurring maintenance once the system has been fitted. As previously mentioned, we offer this service for all domestic and commercial premises. We are approachable, friendly and, of course, knowledgeable so as well as just fit the system, we offer advice and keep you informed of the process. If our service sounds like something you are interested in or if you just need some more information, please feel free to get in touch.